My mom isn't much of a cook. However, she was very good at creating quick and easy meals that were filling and could last a few days. One of her staples was spaghetti and I continue to make the simple dish too. I like it baked and cheesy though. 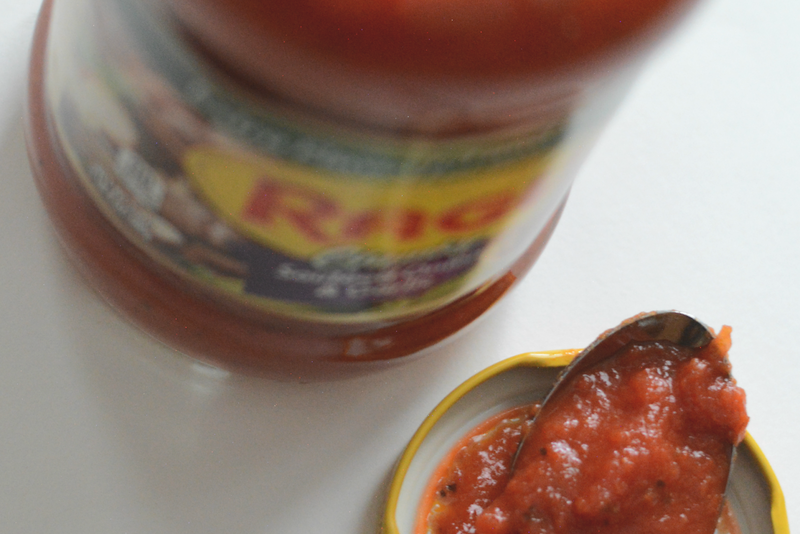 It's slightly different but just like hers, I use Ragu pasta sauce. My way of cooking mixes the old and the new together. I like meals that are quick and easy but I'm not afraid to mix things up a bit. 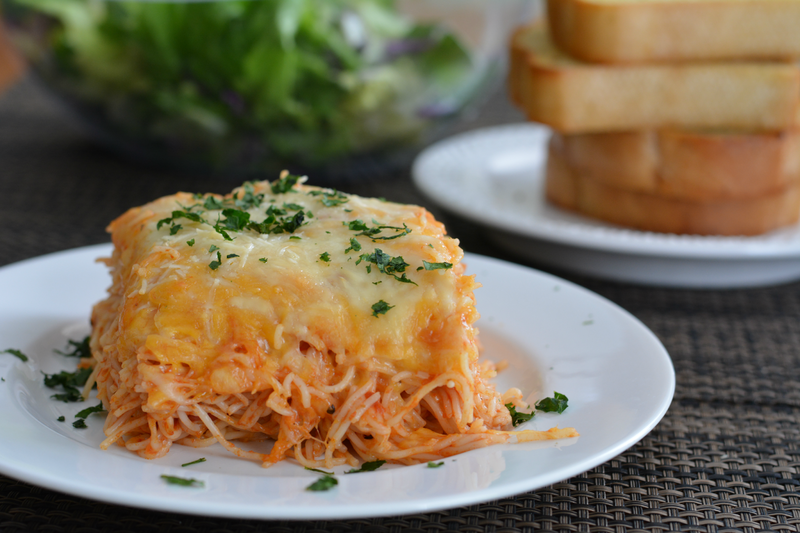 My three ingredient baked spaghetti usually ends up on the meal plan every week during Fall. It's perfect as a meatless meal and Mondays in general when I'm trying to get my footing. It can last a couple of dinners too. So after a busy day of chauffeuring V to school activities, I can just heat up the pasta! Break pasta in thirds. Cook in boiling water. Drain. Stir pasta and pasta sauce together. Place ⅓ of the pasta mix in the bottom of dish. Top with cheese. 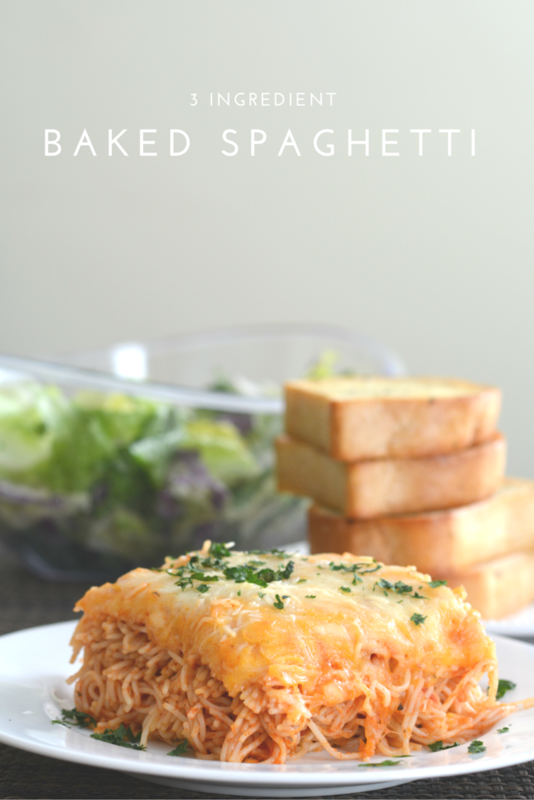 The baked spaghetti is delicious and simple. The entire meal comes together fast too. I utilize time saving tips I've picked up along the way as a stay at home mom and grocery store regular. 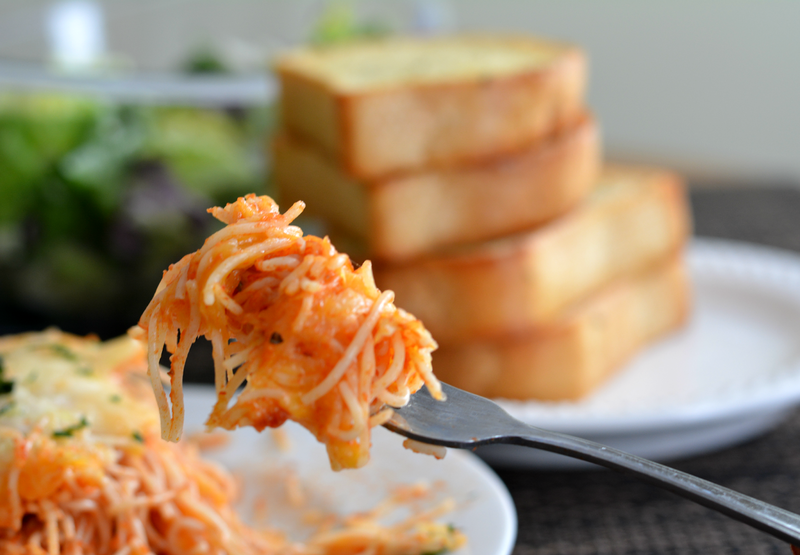 Tip #1: Using angel hair pasta for most pasta dishes as it cooks extremely fast. Tip #2: Buy bread from the bakery at the local grocery store. It's fresh and there's more variety. I can even buy garlic bread to accompany the baked spaghetti. Tip #3: Buy pre-packed or pre-cut vegetables for salad if I can use it the same day I buy it. Remember to check the date label to see which ones were recently packaged. Tip #4: Use Ragu for pasta dishes. This is something I picked up from my mother. It's the only pasta sauce she used and it's the one I now buy. The woman behind the original recipe for Ragu, Assunta Cantisano, was an immigrant, an entrepreneur, and a single mom. Her hard work and resilience reminds me of my mom. My mom worked very hard to put food on the table much like Assunta. Thanks to Ragu she didn't have to spend a lot of time in the kitchen after a long day at work. Ragu is still committed to Assunta's high standards and to this day, the pasta sauces are slowly simmered to add layers of flavors. The vegetables are farm grown. There's no artificial flavors, no artificial flavors and no high fructose corn syrup. It's authentic, flavorful, and reminds me of my childhood. When V grows up, I can't wait to see what she does with three ingredients and Ragu. 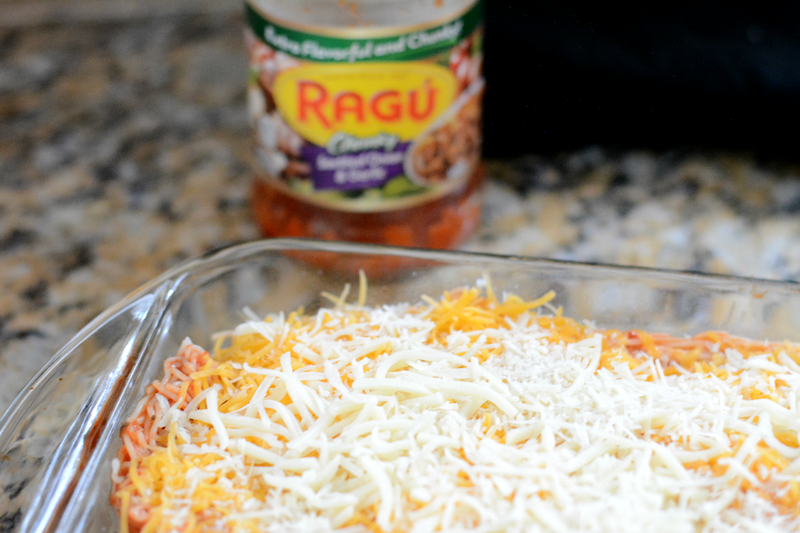 You can visit Ragu online for more of the complete heritage story and more recipes! Buy a jar or two on me by entering to win my giveaway. 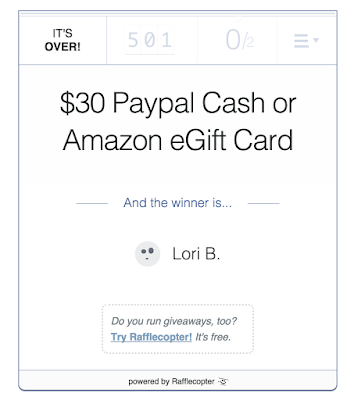 One winner will receive $30 Paypal cash or Amazon eGift Card. 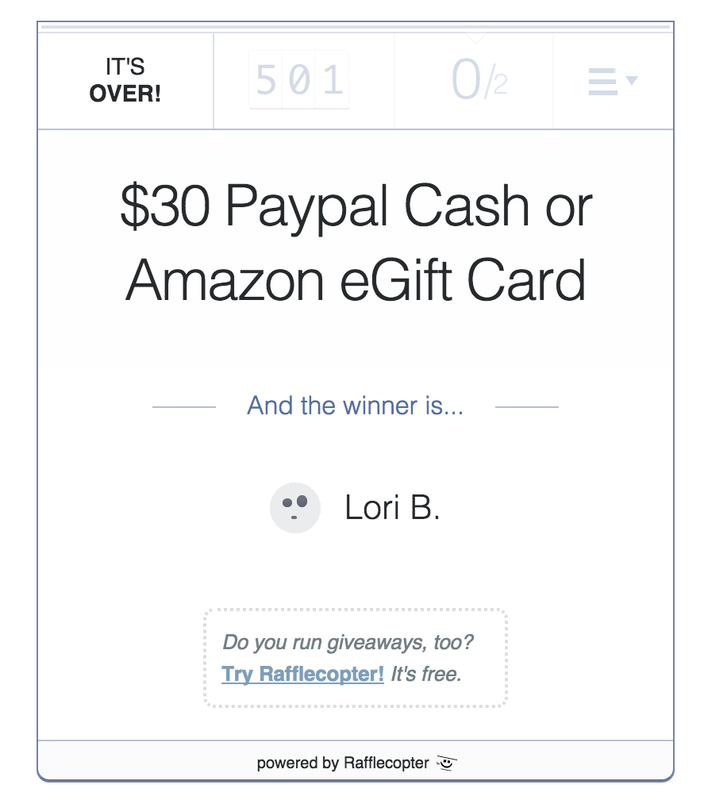 Contest ends October 27. Good luck!